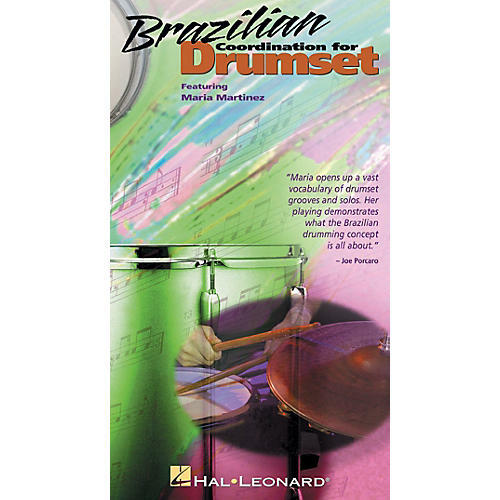 In this exciting video from Hal Leonard, respected percussionist, clinician and educator Maria Martinez reveals her revolutionary studies for Brazilian drumset coordination. She covers: bossa nova, samba, partido alto and baiao styles; beats such as 4/4 Bossa Nova, 2/2 Samba, plus 3/4 and 7/4 examples of both; and rhythmic phrases and studies including coordination, improvisation, feel and more! The video also features live band performances, hand percussion demos, and a helpful booklet. Approximately 60 minutes.